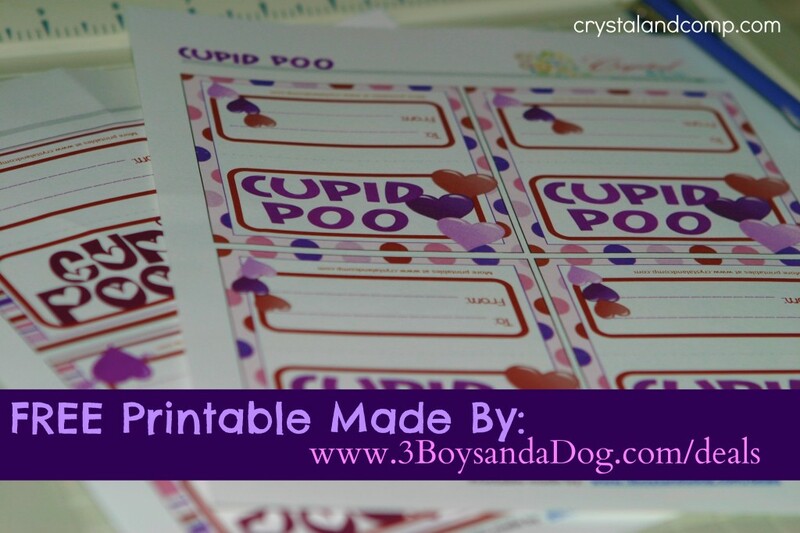 I love this Cupid Poo free printable. They are perfect for kiddos to give to their friends at school. These are funny enough that you could even hand them out to your friends at work…. they would get a kick out of it I am sure. 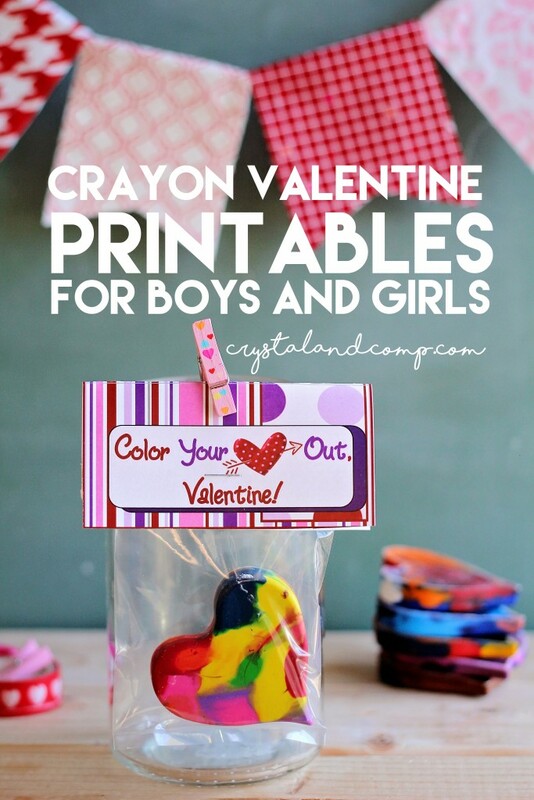 Make sure you check out all of our Valentine crafts for kids while you’re here. Print out the free printable in the stripes or the polka dots…. or both. 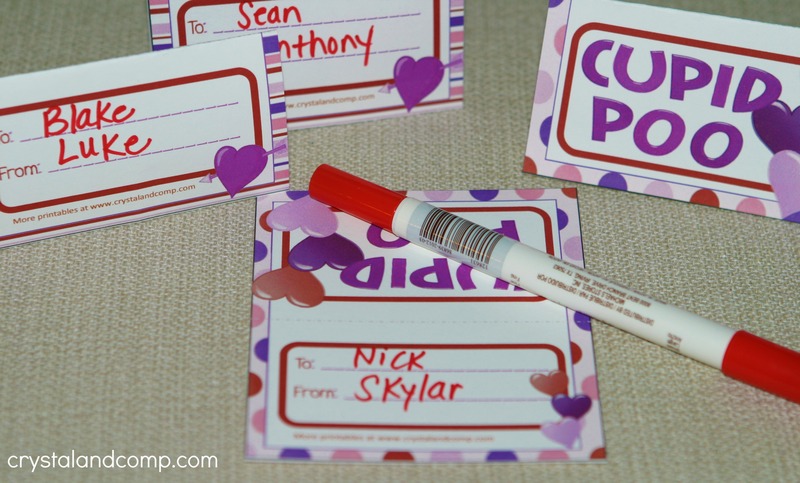 Once you print them out, use scissors or a paper-cutter to cut the treat labels out. There are four on a page (yay, for saving paper!). Fold the bag labels over where the dotted line is as I have done in the photos below. Use a marker to fill in the from and to area on the bag labels. 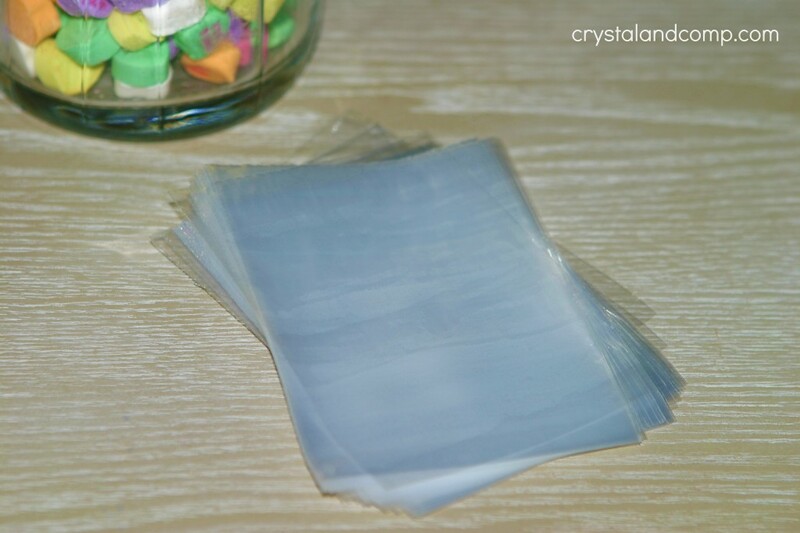 Get your 3×4 clear cello treat bags. You can do peanut or plain. 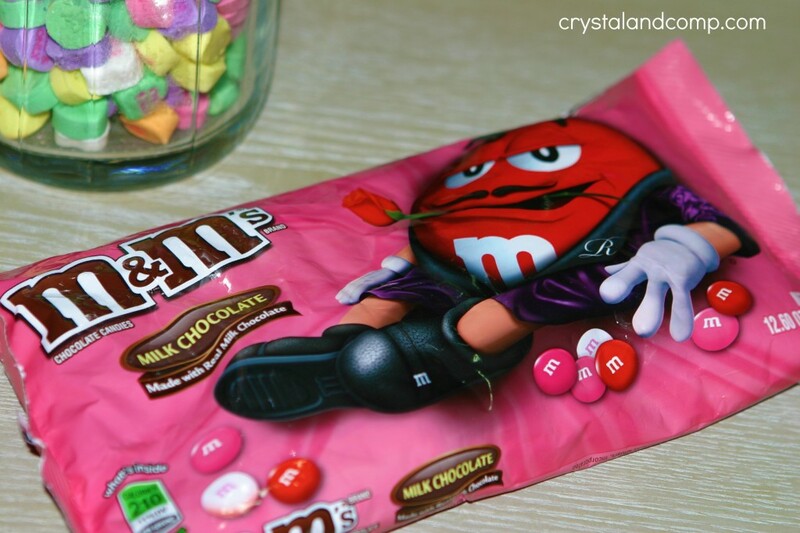 Fill each cello bag about 1/4th to 1/2 of the way full with M&Ms. Place the folded bag label over your cello bag and staple to seal closed. Hand them out to all of your friends and enjoy as they crack up! 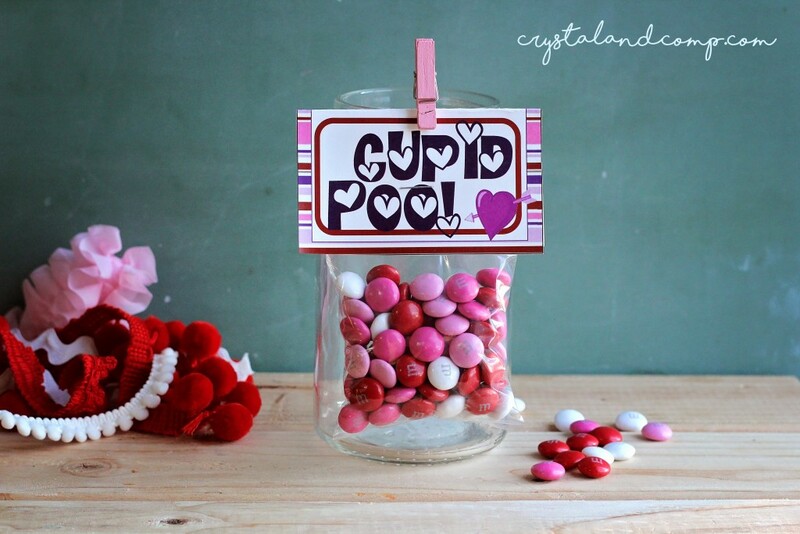 These little treats would be great surprises to leave in the Valentine Mailboxes you make with your kiddos. Glad you like it Emily! Thanks for stopping by. I just subscribed to your site. I love everything on here. I’m a mother of three and you have great ideas. Thank You!!!!! Monica- oh my goodness. Your sweet words just made my day! Thank you so much for subscribing. We are so happy to have you. Awesome, Kim. Thanks so much for the feature. I absolutely love this, What a cute idea! Plus it is a huge money saver for class parties! Thanks for the inspiration! This is adorable! I want to do this for my kiddos class! You are so creative! That is so cute. My kids would get the biggest kick out of this. So adorable! 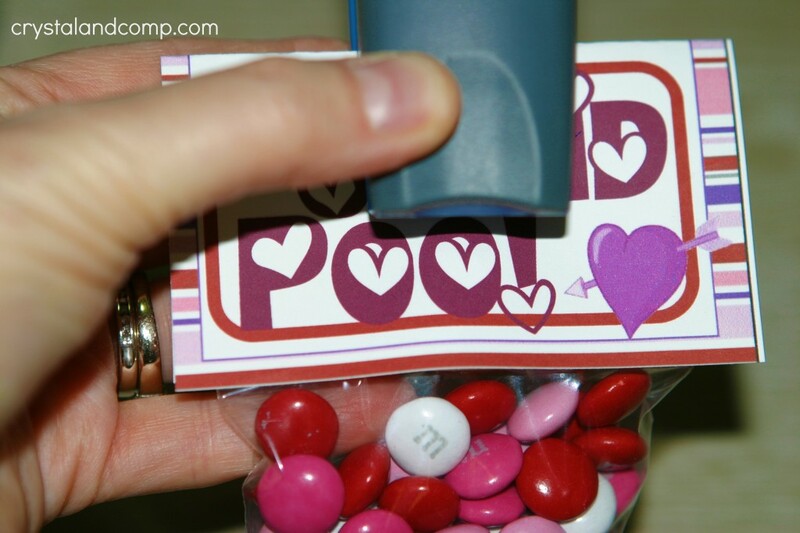 I think the kiddos would get a kick out of receiving “Cupid Poo” for Valentine’s day! I love anything that’s free. This free printable looks cute and adorable. Many would find this useful. Great post! 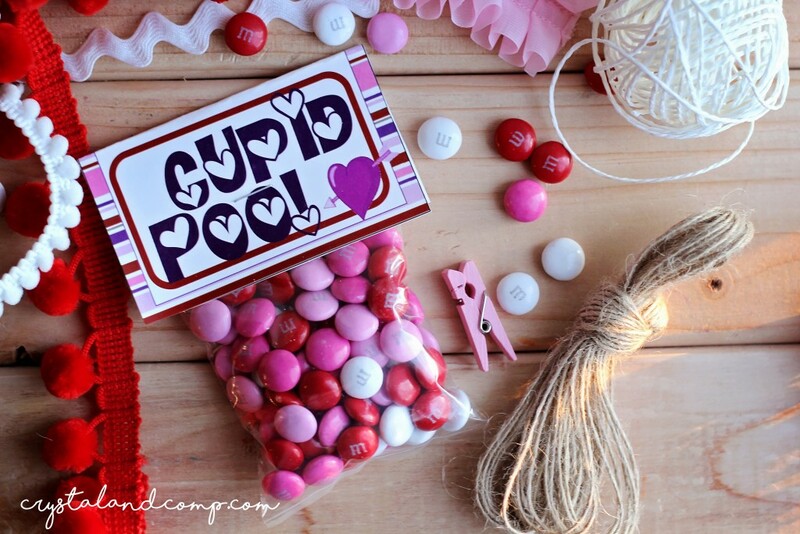 Thank you for sharing these cute printables for Valentine’s day! I know I will be able to find good use for them. Thanks for sharing. 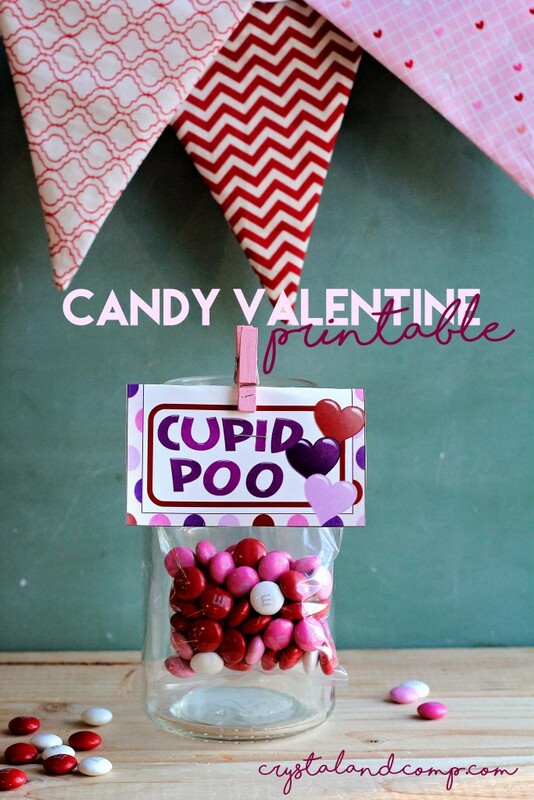 These Valentine’s Day crafts are beyond cute, especially the cupid poo. Thank you for sharing these ideas! This is so adorable. I love all your ideas. Thanks for sharing. 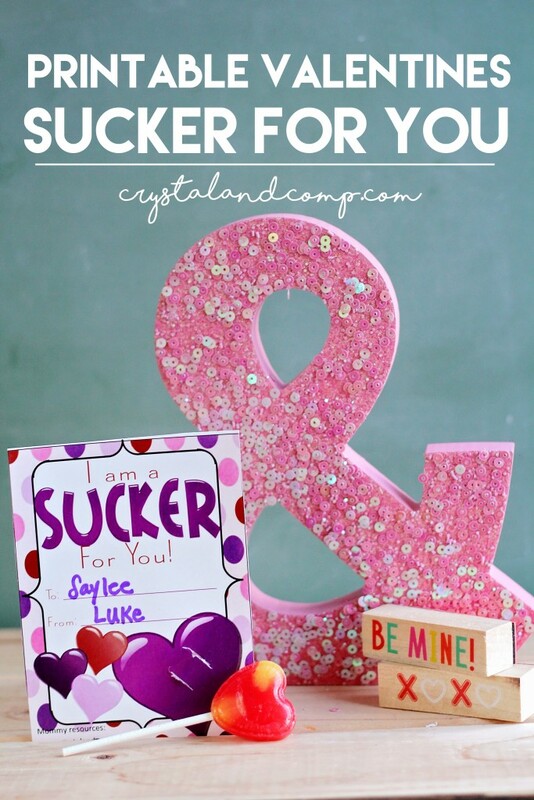 These are fantastic Valentines day crafts. I will have to make some crayon hearts. I have a ton of broken crayons the kids will not use. I love this, What a cute idea! Plus it’s great for class parties! Thanks for it! Oh, this is priceless! I need to print these for my kids, hey will have a kick out of this one. This is adorable! I know that the kids would get a kick out of it! Lol…I’ve seen reindeer poo, and now cupid poo…lol! I bet young kids would get a kick out of this. The Color your Heart Out printable and idea is really nice. We’re definitely going to use these printables! 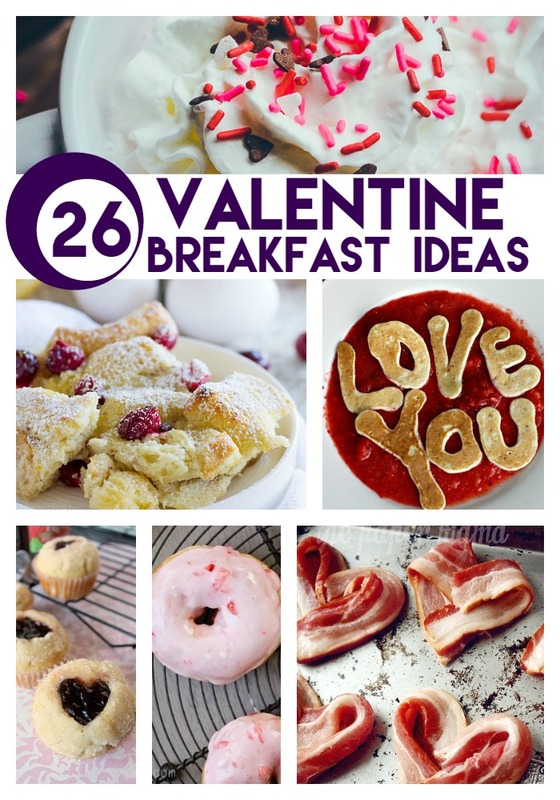 so many great ideas for Valentine’s Day! Yay! Thanks for using them.